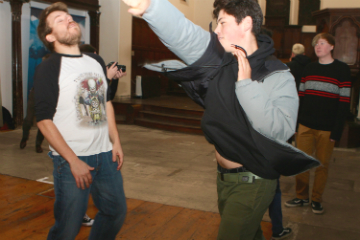 Recently at Fabrica cinema, in Brighton, young people learned what it takes to be a stuntman in the TV & Film Industry. Organised as part of the Into Film Festival and hosted by Take 3, the workshop delivered a hands on taster of working in the most dangerous yet exciting industry in the acting business. "Being a young performer at one point myself, I know how hard it is to get a real professional training for the film industry, and the best training you can get is from experience. "This is why the Into Film Festival is perfect for young people around the UK, they get to be hands on with working professionals and get to gain experiences they have never had before." Take 3 is the UK's Premier Screen Acting Academy for the next generation of young professionals. They are opening their first Take 3 Academy in Brighton in September 2019 and will start with weekly classes on Saturdays and then develop them from there. The Festival is free to all students, supporting education through a carefully curated programme of films and events for schools with topical themes, resources, debates, special events and careers activity.